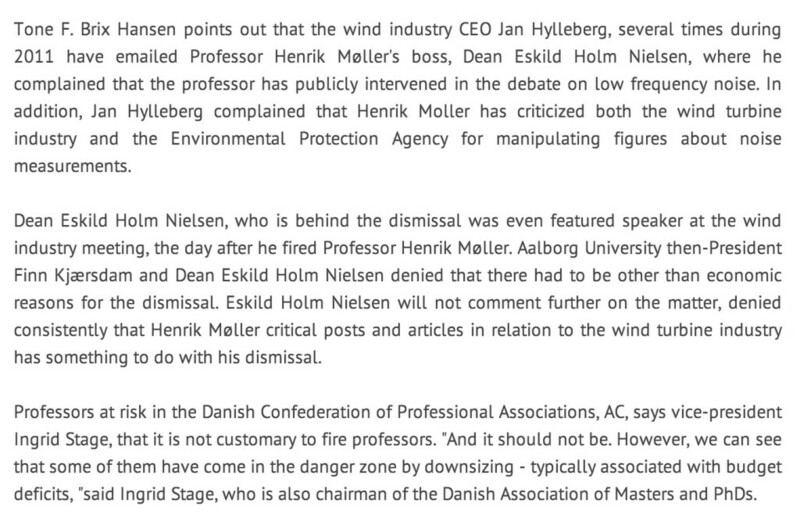 Wind Turbine Syndrome | Prominent Danish Professor sacked — for criticizing wind industry? 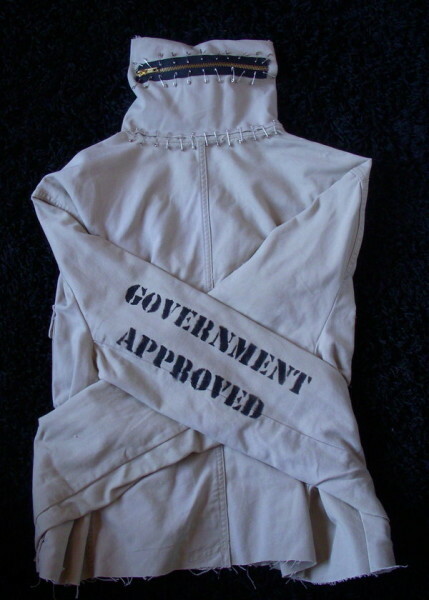 Censorship? Editor’s note: Okay, here’s the story, in a sentence or two. Prof. Moller is a senior professor, specializing in acoustics, at Denmark’s Aalborg University. A public university, by the way. 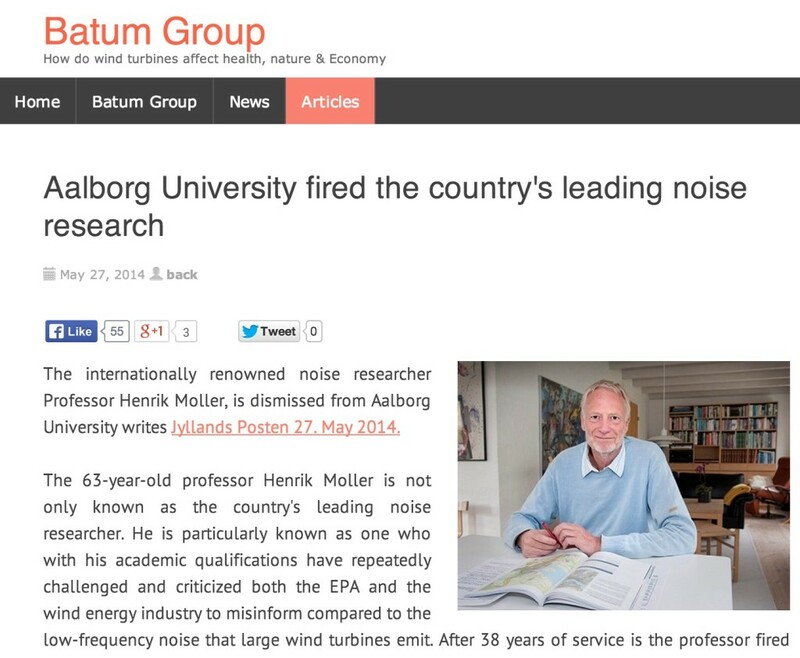 Moller has been publishing and speaking against the lies of the wind industry — lies about wind turbine noise (i.e., infrasound). The big industry in Denmark is Vestas, makers of wind turbines sold around the world. Here’s the story (click here) from a Danish news source, translated below. This is WAY more than your standard pawn sacrifice. This is a “politburo-style decision” from all the way up: by pointing out a problem with a matter of “national interest,” Prof. Moller has become an “unperson” and had to be punished. 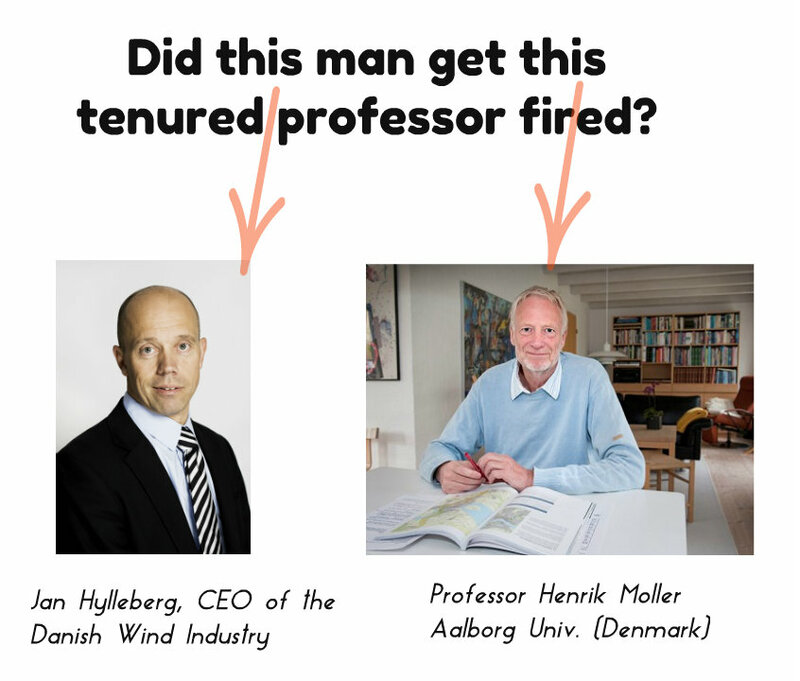 By making an example of him, the pro-wind establishment — which is especially strong in Jutland – sent out a warning to everybody in public office or in a high-profile position to get back in line and shut up. But this thing is bigger, WAY bigger. 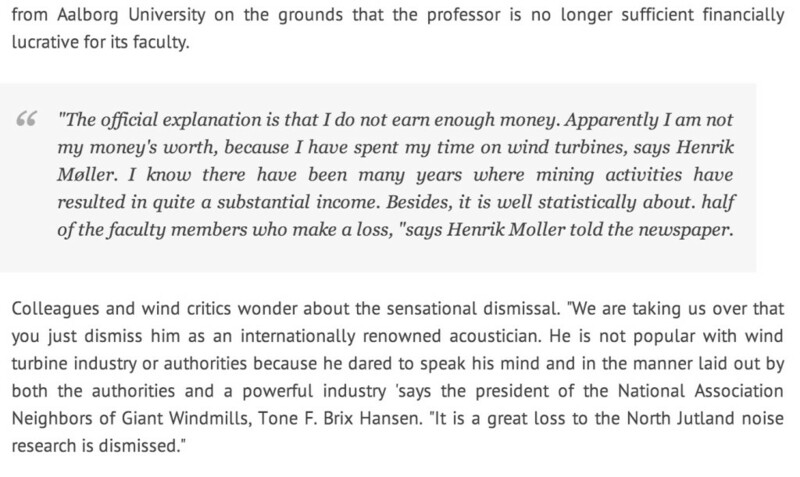 The Danish wind industry (and Mr. Hylleberg) have literally taken every opportunity to bash competent researchers and especially Mr. Moller at every opportunity they got, declaring ILFN (infrasound & low frequency noise) from their turbines a non-issue, even though we remember VESTAS’ whining about that stupid infrasound that simply won’t go away. . . . But there is this thing non-Danes don’t get. It’s called the “Janteloven,” the unwritten rule that is holding together the Danish society – which, by the way, is away less liberal and democratic than you might think! 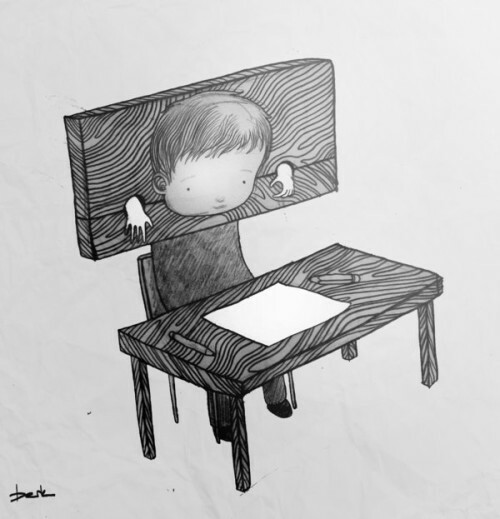 The Janteloven (Jante’s Law) is the unbreakable rule that you DO NOT STEP OUT OF LINE. By pointing out the problem with wind power, Mr. Moller was acting “un-Danish” and, as in any good old totalitarian society (remember, Denmark is less democratic than you think), this could not be tolerated. Maybe Dean Nielsen DID have a little benefit from this (not him personally, of course, as Denmark is officially 100% corruption-free), but his university … and maybe, MAYBE he was told, “if you don’t fire this old geezer we will fire YOU!” Just guessing, here, but I am certain that we will learn about the ugly details very, very soon.